In today’s competitive market you need to have partners that you can trust, who are going to supply the most reliable products and systems. Bürkert fits that description to a tee, which is why we stock such a large array of Bürkert products. This page highlights why we believe so strongly in the brand and gives you a brief overview of some of their high-quality instrumentation. Having been established for over 40 years in the United Kingdom and Ireland, Bürkert has worked hard to develop and build an experienced premier and partner distribution network. BM Engineering Supplies and Bürkert have a long established distributor partnership, which means you do not have to look far to source Bürkert’s cutting edge instrumentation. Bürkert’s expertise in the fluid control sector means that whether your application is filling, level, flow, pressure or temperature, together we can offer you a solution and a uniquely comprehensive range of Bürkert products to handle it. These include solenoid, process and analytical valves, pneumatic actuators, sensors and controllers. 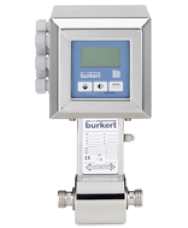 Bürkert’s FLOWave Type 8098 uses Surface Acoustic Waves (SAW) technology for use in applications requiring the strictest hygiene conditions, such as pharmaceutical applications. Thanks to its all stainless steel materials, FLOWave achieves incredible sanitary levels, including a tube free of inner parts and the ideal exterior design without any fixing components. This flowmeter has been designed for the measurement or monitoring of water similar liquids and hygienic applications. 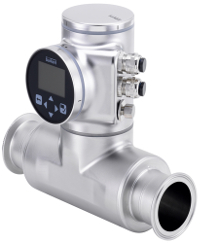 FLOWave sets new standards in flow measurement instrumentation, offering an array of useful features, including flexibility, cleanability (CIP and SIP), compact size, light weight, easy installation and handling, and compliance with numerous standards. 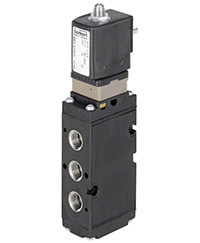 Bürkert’s type 6518 solenoid valve is a servo-assisted 3/2-way valve that can be used individually or in blocks. The valves are used for the pneumatic control of double or single-acting actuators and work without continuous air consumption. The type 6518 contains a NAMUR flange interface and can be used in both open air and chemical atmospheres. 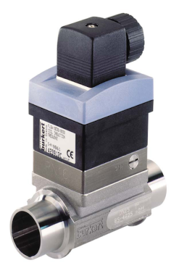 Bürkert’s Type 8030 Flow Sensor is made up of a compact fitting and an electronic module that is quickly and easily connected together by a Quarter-Turn and has economic integration in pipe systems without any additional piping. This, complete with its simple installation into all pipes from DN 06 to 65, makes it perfect for use in neutral, slightly aggressive, solid free liquids.